Available throughout the year (from October to the end of March, the trip cannot start on a Wednesday or Friday in low season unless an additional night in Arras is arranged). Please note that in 2018 the Cave du Dragon will be closed for renovation until the end of March. To mark the 100th anniversary of the First World War, we have put together a four day Champagne Battlefields tour that allows you to visit some of the most prominent battlefield sites and museums, and raise a glass (or two!) of Champagne to our fallen heroes. 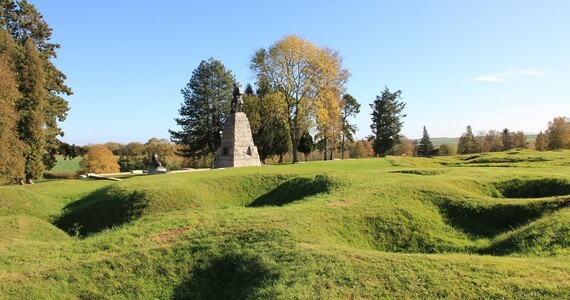 After crossing the channel to Calais, begin your Champagne Battlefields tour by visiting the memorial park in Vimy ridge, the site of the huge tactical victory for the Canadian Corps on the opening day of the battle of Arras. 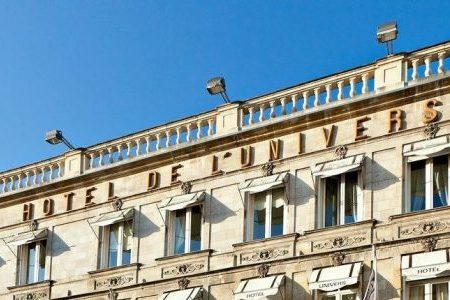 After paying homage to these brave soldiers, check into the 4* Hotel de l’Univers, where you will be staying for the night. 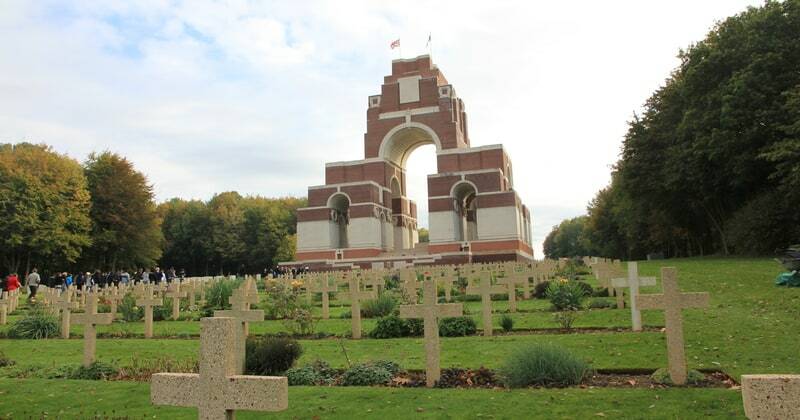 On day two of your Champagne Battlefields tour, head for the Champagne region stopping en route at the famous Thiepval memorial. 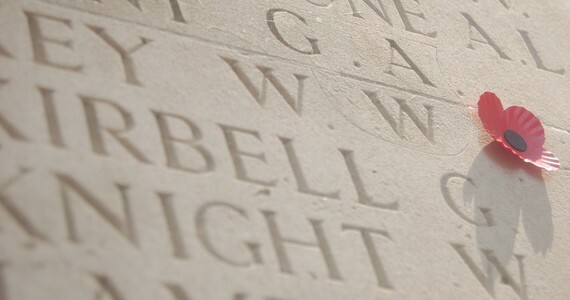 This memorial to the Missing of the Somme bears the names of more than 72,000 officers and men who lost their lives in the Somme region before March 1918 and have no known grave. You will then drive across the former battlefields of the Somme to the Museum of the Great War in Peronne. Here, you will learn about the First World War in a social context through the lives of the combatants and the civilians. 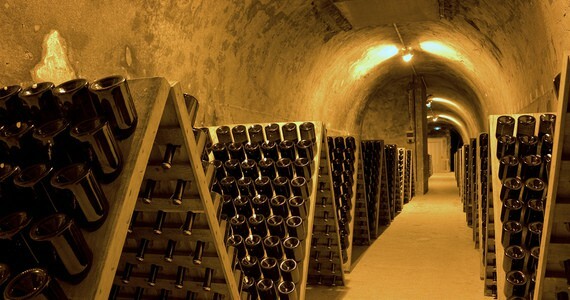 Once in Champagne, we will arrange for a two night Champagne break to include a tour and tastings at your favourite large prestigious Champagne House in Reims (options include Veuve Clicquot, GH Mumm, Pommery and Taittinger), and return transfers out to the vineyards for a tour as the guests of a small, family-run Champagne House. Here, you are likely to meet the Champagne-maker himself and see firsthand the fascinating Champagne-making process from vine to bottle. In the evening, a three course Champagne tasting dinner will be served in a cosy restaurant located ten minutes’ walk from the main square, where each course will be accompanied by a different Champagne. 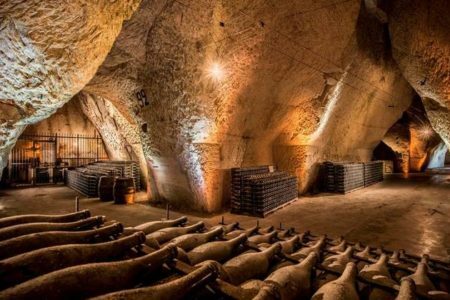 After checking out on day four of your Champagne Battlefields tour, and before making your way back to the UK via Eurotunnel, stop off at the Caverne du Dragon for a guided tour. This 16th Century stone quarry cave became a strategic military location during the First World War and you will see for yourself the sombre reality of what war was like 15 metres underground. You will also have entry to the on site museum. Drive to Arras from the UK, taking the Eurotunnel from Folkestone to Calais. You are free to choose your crossing time. En route, stop at the memorial park in Vimy ridge to pay homage to the brave soldiers of the First World War. Upon arrival in Arras, check into a twin or double Luxe room at the 4* Hotel de l’Univers. We will provide you with a list of recommended restaurants in the town and we would be delighted to reserve you a table at any of these for dinner. 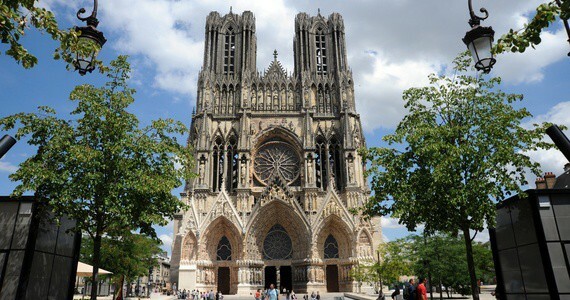 After breakfast and check out, drive to Reims. En route, stop at the famous Thiepval memorial. 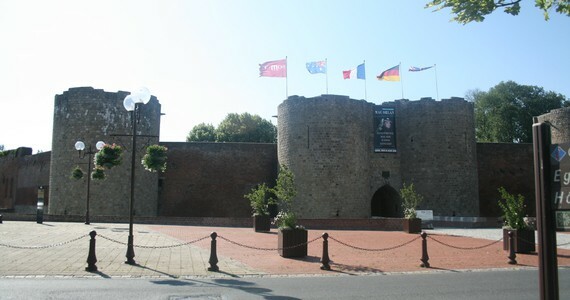 After driving across the former Somme battlefields to Peronne, entry to the Museum of the Great War will be provided. Upon arrival in Reims, check into a Privilège room at the 4* Hotel de la Paix. Free afternoon and evening to explore the city and relax. Again, we will provide you with a list of recommended restaurants and we would be pleased to reserve you a table for dinner. Return transfers to the vineyards. 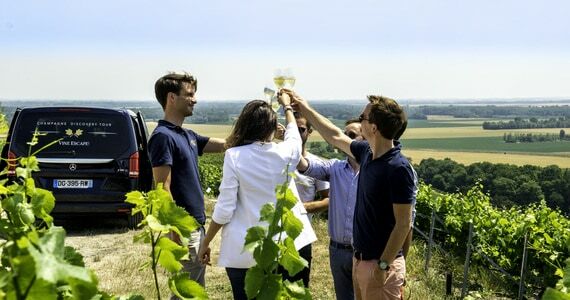 A tour and tastings of three to five Champagnes as the guests of a small, family-run Champagne House. In the evening, a three course dinner with three glasses of Champagne will be served in a traditional restaurant in the city centre. Before leaving the Champagne region, enjoy a guided tour of the Caverne du Dragon and entry to the onsite museum. Drive back to the UK, taking the Eurotunnel from Calais to Folkestone. 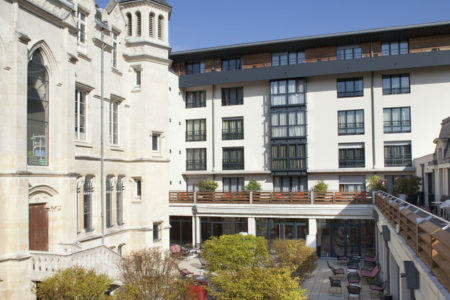 Hotel de la Paix: Travel anytime from the beginning of November to the end of February and from mid-July to the end of August, and enjoy a free extra night in Reims. Stay longer! Just let us know which of the hotels you prefer and we would be delighted to arrange an additional night’s stay. 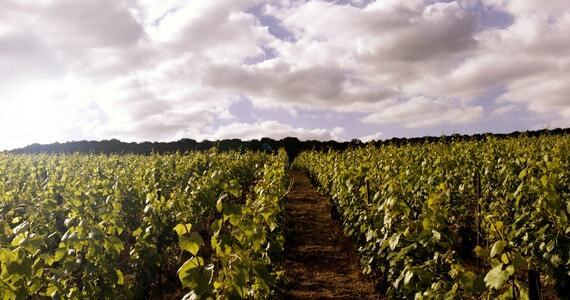 Explore Epernay and the vineyards. If you are staying an additional night in Reims, you may wish to spend the day in Epernay and the surrounding vineyards, enjoying some of our recommended tours and activities. Experience the region’s gastronomy. Reims is brimming with unique gastronomic dining opportunities and what better way to enjoy a glass or two of Champagne than with a mouth-watering meal in the city. We offer a variety of menus to suit every budget. Stay in the vineyards. 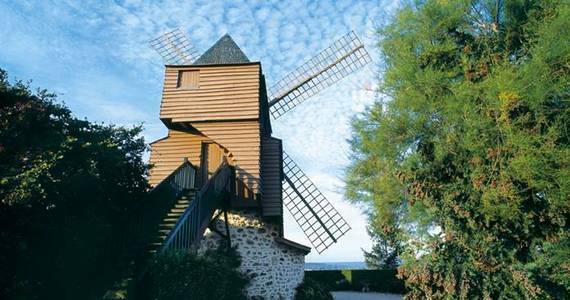 Why not stay a little longer in Champagne and indulge yourself in a stay in one of our unique rural hotels? Fall in love with Paris. 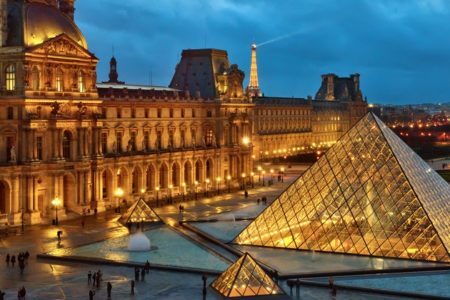 Let us put together an itinerary for you in the city of love! 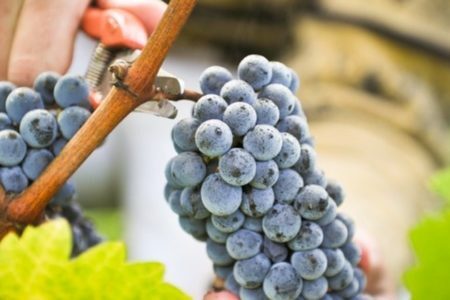 Discover more French wine regions. 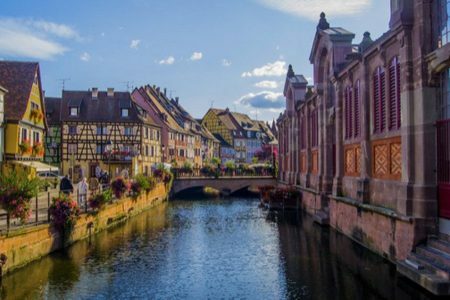 As well as trips to Champagne, we also arrange holidays to Burgundy, the Loire Valley, Bordeaux, the Rhône Valley, Alsace, Provence, Cognac and the Languedoc-Roussillon. The price of this package includes Folkestone to Calais Eurotunnel crossings. To secure your booking, a 20% deposit is required. Your remaining balance will then be due 60 days before travel. Please call us on +44 (0) 1920 468 666 or e-mail info@grapeescapes.net to request a booking form. This was a wonderful experience and I would like to thank you and the team for all your help with the organisation. Every one of the 18 people attending thanked me for such an enjoyable weekend. Enjoy a truly unique holiday in a luxury boutique Champagne House accommodation with tours and tastings at several estates and fine dinings. Eurotunnel crossings have been included as part of this package.